For six years, Nicholas Heiman served as the Lyon County prosecutor, which allowed him to gain knowledge about a wide variety of case types. Now, as a criminal defense attorney, Nicholas has the experience from both sides of the courtroom. He knows how the prosecutors who are trying to put you behind bars think and can give your defense the preparation and dedication it needs to stand up in court. When you have a case that needs to go to trial, you can trust Nicholas Heiman to have the experience you need to present in front of a judge and jury. Since 2011, Nicholas switched gears to work as a criminal defense attorney for residents of Manhattan, Emporia and Junction City, Kansas at Miller & Heiman, Chartered. Although Nicholas has plenty of trial experience from his prosecuting days, he knows not every case should make it to a courtroom. He will work with you and find the best possible outcome for your situation, whether it means settling out of court, a plea bargain, or pleading not guilty and letting the court or a jury decide. Rest assured, whatever option is in your best interest, Nicholas will treat your case with the necessary professionalism, individuality and compassion it deserves. 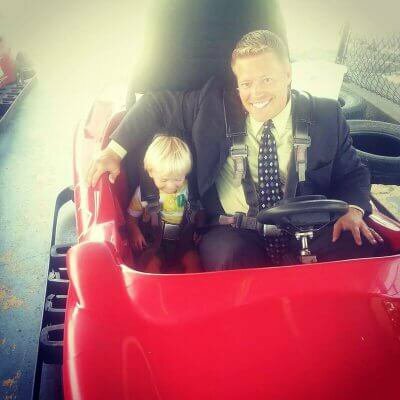 Attorney Nicholas Heiman has practiced law since 2005 after earning his J.D. at Washburn University School of Law. He served as the Lyons County prosecutor for six years, gaining valuable experience in traffic law, DUI, drug cases, and even violent crimes leading to jury trials. While he is an experienced criminal defense lawyer, Nicholas also handles family law disputes, including child support and custody as well as divorce. He also is available to help with wills and trusts, estate/probate and other property-related matters.